One of the most important features of a house’s exterior would be the siding. Not only is it what shields your home from the elements, siding is also key in curb appeal and visual representation of your household. While siding is not as susceptible to damage as rooftops, in wind storms and other weather-related events, it can get scratched, punctured, and perforated, which could affect the insulation and framework underneath. Not only that, but weathered siding could be increasing your energy bills. Deciding to invest in new siding is always a smart move. Not only will it give the exterior of your home a makeover, it can add insulation and reduce the volume of outside noise. Provision of various siding styles – vinyl, metal, fibre, wood, stone, etc. We are also happy to combine siding, soffit and fascia installation and replacements or repairs to keep colours and materials uniform. We can also help you choose the correct siding for your home. Metal siding, for example, is common in the Ottawa region because of the thickness and resilience it provides. Metal siding can also be cut to custom lengths, ensuring that every section of your home’s exterior is waterproof, rustproof, and wind resistant. Another population option is vinyl siding due to its affordability and variety of colours and textures. For those looking to be more eco-friendly, vinyl siding is recommended. When you combine vinyl siding with foam insulation, the energy efficiency of a home can be increased by 25%. 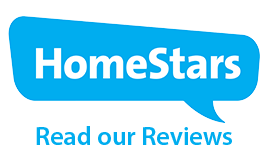 Our certified installers have paired up with some of the best siding manufacturers around to deliver quality work to stand the test of time. 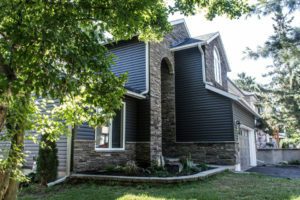 If you are interested in installing or replacing siding on your home, contact Alba Home Services today for more information or a free price estimation. We look forward to hearing from you.